Rainbow Stardust Duvet Cover Set - Single | Great Little Trading Co. 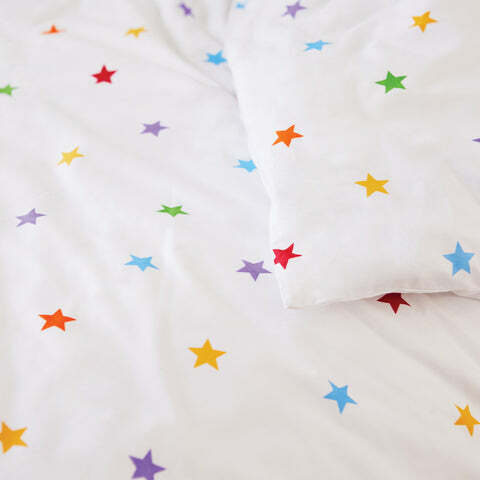 Teach your children their colours with this gorgeous cotton duvet set; there's a whole galaxy of stars here to help them (and it's a lovely way to calm them down at bedtime). 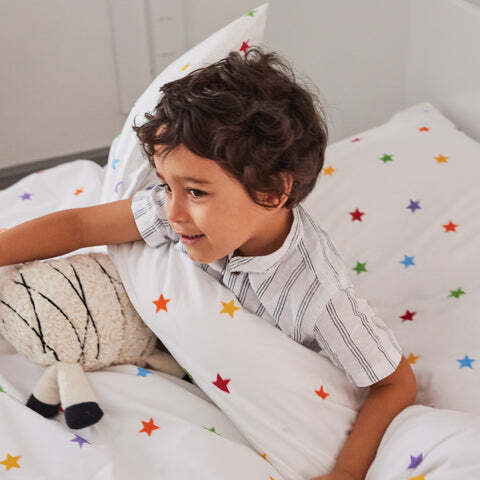 We make all our duvet cover sets from 100% pure cotton to help keep children cool and comfy at night (it's also why our bedding lasts long enough to be handed down from sibling to sibling) Includes button closures for added durability. Bring more colour into their world with a matching accessory from our range of Children's Rugs and Blackout Curtains. 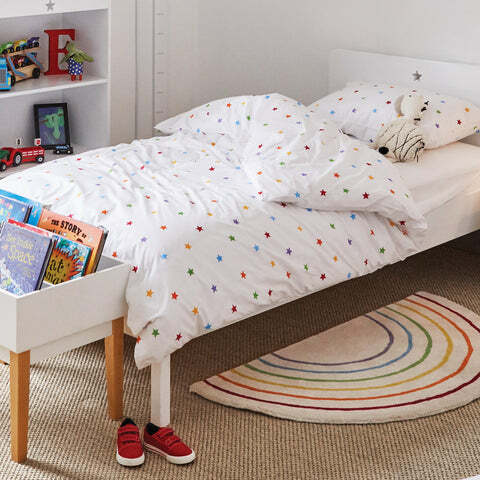 Our Rainbow Stardust design is also available in our range of Canvas Storage Cubes and Kids' Bookcases.